The European eel (Anguilla anguilla) has a complex life history which is believed to begin in spring and early summer in the Sargasso Sea, 5000 km from Scotland. Within a few days of spawning, eel eggs metamorphose into transparent blade shaped larvae ‘leptocephali’, which passively drift to Europe on the Gulf Stream and the North-Atlantic Drift. Once they are old enough (5mm), they undertake active vertical migration behaviour - diving deep during day light hours but living at shallower depths during the night. From November to April, after 8-9 months in the Atlantic, ‘leptocephali’ reach European continental waters and develop into 50 mm long un-pigmented ‘glass eels’. Glass eels live initially in coastal waters, darkening in colour to yellow-brown, at which point they become known as ‘elvers’. 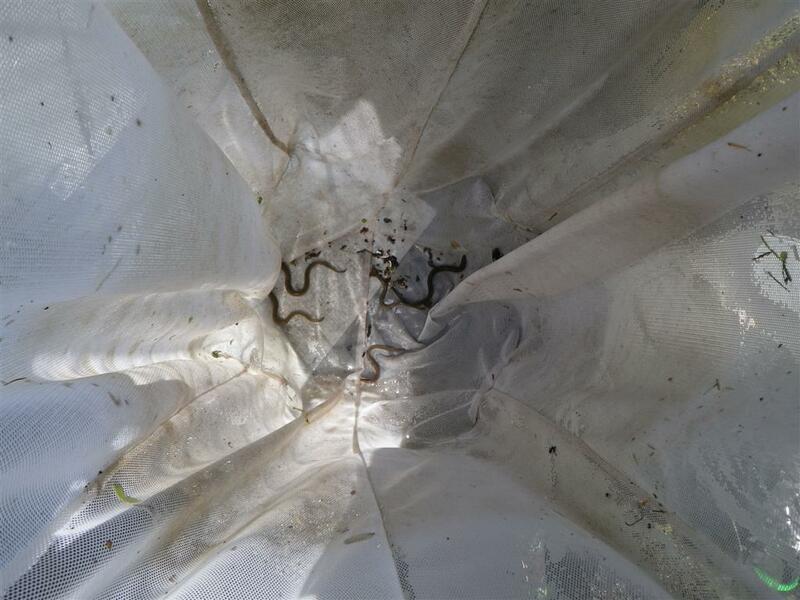 Generally once near river mouths and when they have pigmented sufficiently, elvers start to migrate upstream when the river temperature is between 10 and 12 o C, around the end of April. Due to a sharp decline in the population of more than 90% since the 1970’s, European eels are now categorised as Critically Endangered in the IUCN Red List. This has prompted much interest in the species over the last few years and immediate action to help focus efforts in conserving the species was addressed within the Solway Tweed River Basin District Eel Management Plan, which the Galloway Fisheries Trust (GFT) inputted heavily to and which was published in 2009. 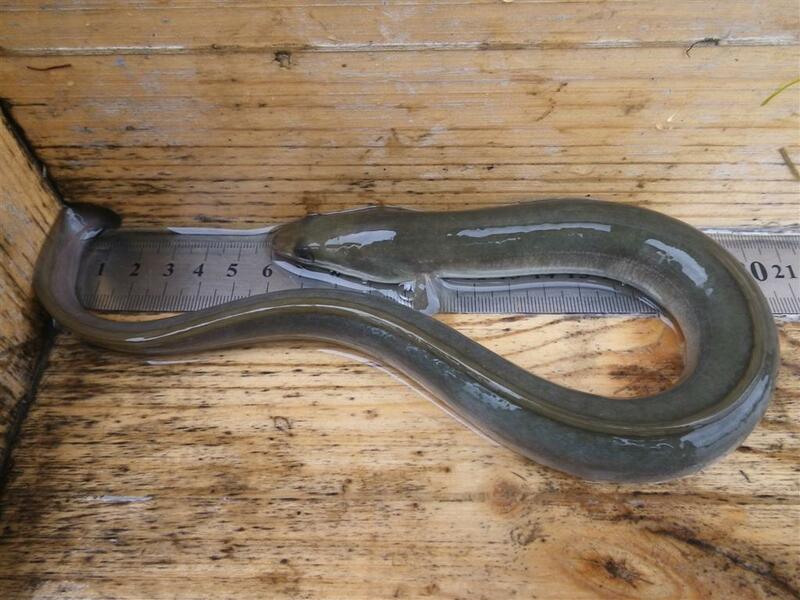 The plan draws together the available data on eels in the Solway area and lays out a number of recommendations to protect and enhance the eel population. The report highlights that although the Kirkcudbrightshire Dee is the second largest river catchment in South West Scotland (>1000 km2), annual electrofishing surveys by the Galloway Fisheries Trust have never found an eel in the Dee or its numerous tributaries since the surveys started in 1996. 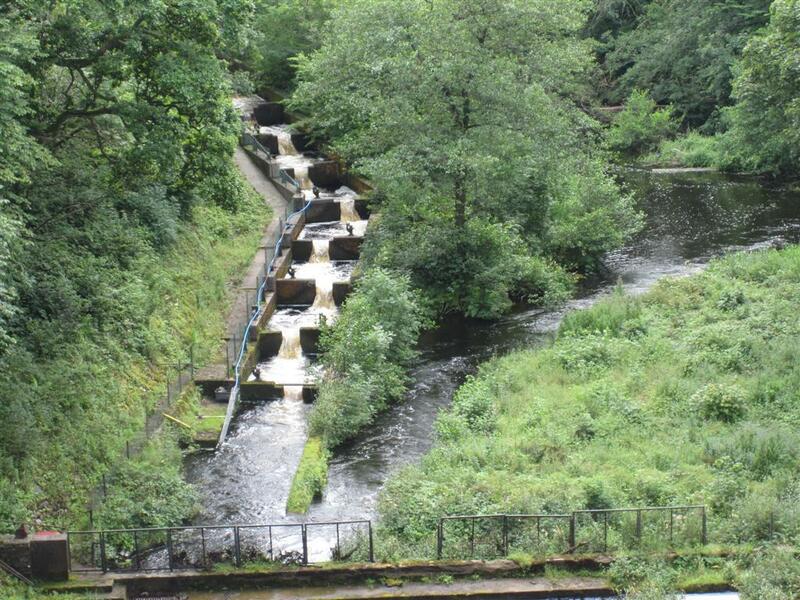 Historically, the Dee supported a healthy eel population, before the construction of the Galloway Hydro Scheme back in the mid 1930’s when a number of large dams were constructed across the river. Most of these dams have associated fish ladders which have been designed to allow migratory salmonids (salmon and sea trout) access to spawning areas upstream. These ladders however, are not suitable for young eels to ascend. At the bottom of the Dee, Tongland Dam lies 1.7 km upstream of the tidal limit. Migratory fish entering the river must pass through a narrow river channel of only 20 mgd flow (a set compensation flow available between April and January) to reach the entrance to this fish pass. In July 2009, when undertaking routine maintenance on the Vaki fish counter, water flow within the ladder was reduced and GFT staff saw many thousands of eels trying to ascend the lowermost chambers of the pass with no success. Whilst the Solway Tweed River Basin District Eel Management Plans main focus is to help increase silver eel escapement (the stage at which adult eels go to sea to spawn) by 40%; all remedial actions were considered at each of the freshwater life stages and for the Dee – this would focus first on overcoming inward migration problems. Ideally, we would like to assist eels in migrating above Tongland Dam un-aided, but this would require an extensive eel ladder to be built which would be substantial in length (to mirror the existing salmon and sea trout friendly fish pass of 200+ meters) and cost. With this option presently unavailable, capturing eels by means of trapping and then transporting them upstream of Tongland Dam was seen as the most feasible option and this was trialled successfully in 2010. 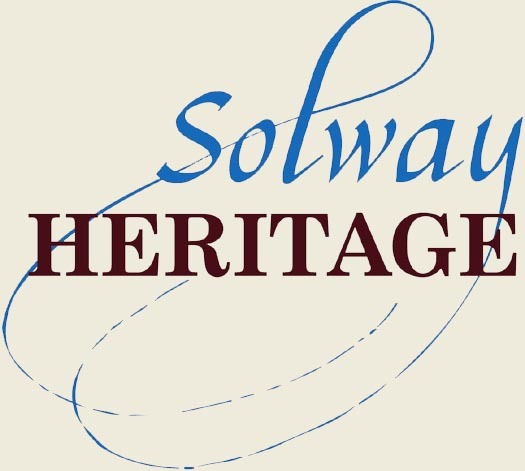 The 2010 and 2011 work has been supported by Scottish Government, Scottish Power, Solway Heritage and Shanks Waste Solutions through the Landfill Communities Fund. In 2011, the GFT purchased, fitted and have been running two eel traps beneath the downstream entrance to Tongland fish pass. 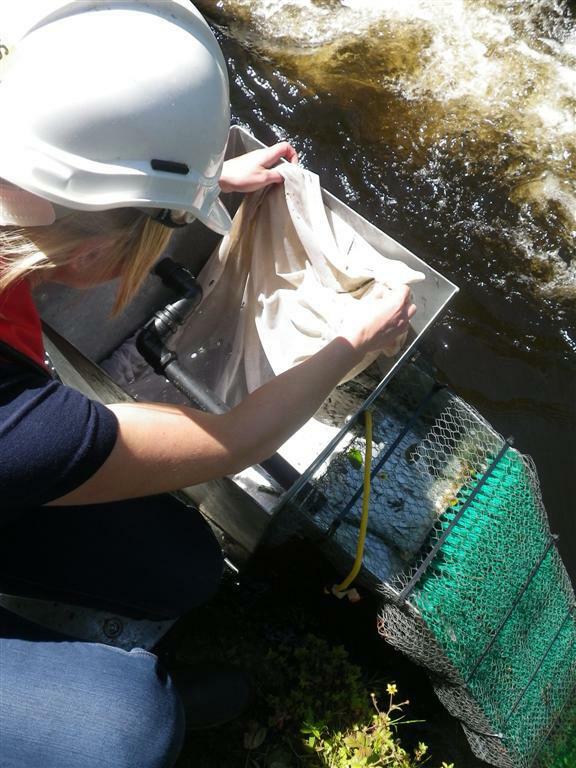 These operated from May until the end of September, with all eels caught being transported above the dam and replaced into small burns with good habitat within the lower river. 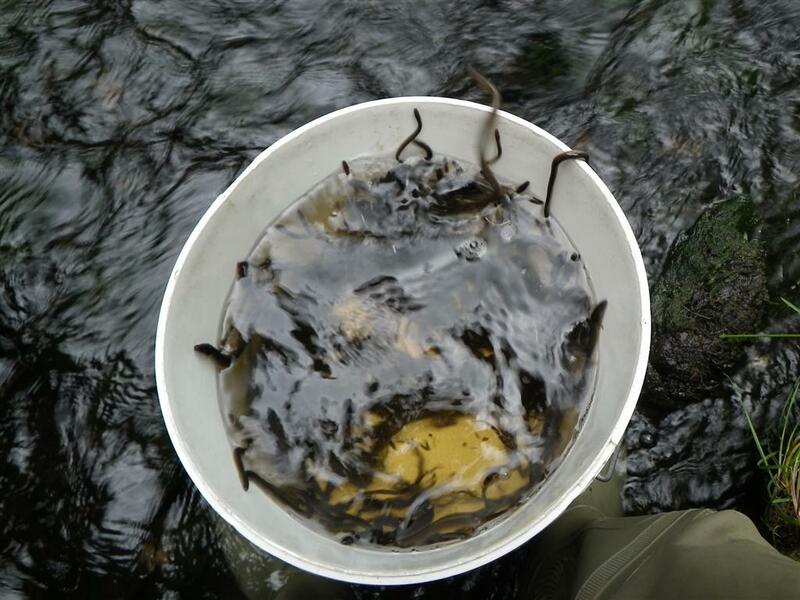 During the peak migration period in July, over 500 eels were caught some weeks. Once replaced in the burn, it is hoped the small eels - which have ranged in size from between 70 and 200 mm - will slowly grow and eventually disperse from the burns into the vast Kirkcudbrightshire Dee where they may stay up to and beyond 20 years, before wanting to migrate to sea to spawn. Scottish Power and GFT have applied for additional funding to support the development of this project over the next few years, which will see increased trapping effort undertaken amongst other key objectives. Aside from the benefits to biodiversity that re-establishing a Dee Eel Population will play; eels are known to be voracious predators of young North American Signal Crayfish of which the Dee has the largest Scottish population, now well established in Loch Ken and its feeder burns. North American Signal Crayfish are non-native alien species that are extremely destructive on native flora and fauna and will consume plant matter, invertebrates, fish and fish eggs. On the Dee, their population has increased to a massive size in recent years e.g. a trapping experiment in 2009 caught over 700,000 individuals in only a few months. This population is out of control and is having a severe biodiversity and economic impact on local fish stocks. Scottish Power, GFT and the Dee District Salmon Fishery Board are presently implementing a Salmon Restoration Plan to try and restore a healthy salmon population back to the Dee but the continued spread and growth of the signal crayfish population threatens this objective. Trapping is able to remove the older age classes of crayfish but the younger stages cannot be controlled by such techniques. 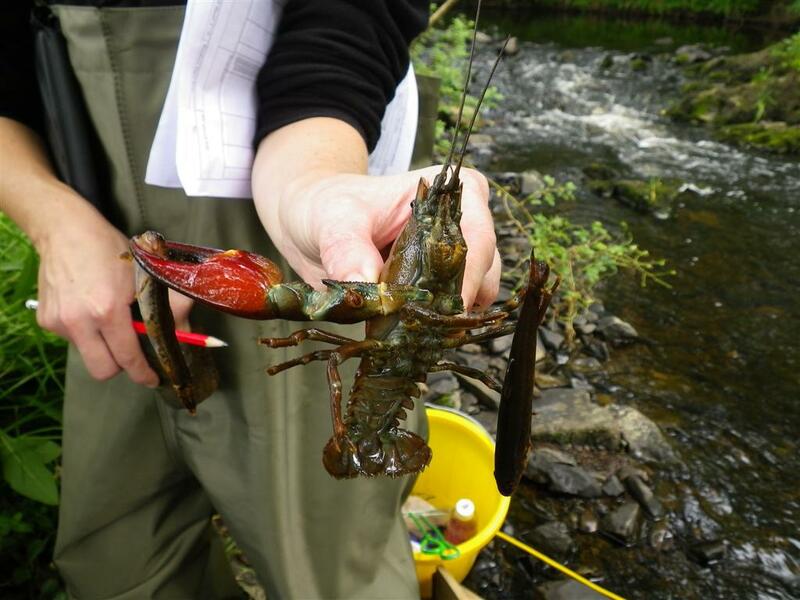 The establishment of an eel population is seen as an essential measure needed to help bring the Dee crayfish population down to a level which will allow natural flora and fauna to co-exist.